ARRIVING SOON! 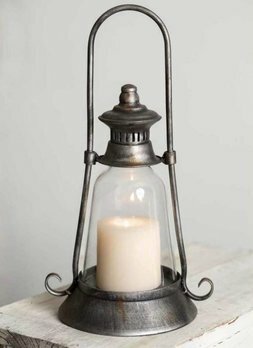 Burn your candles safely with the Edmonton Candle Lantern. Pictured here with a 3" candle (not included). This timeless touch will be a great addition to any room. Includes the glass chimney. 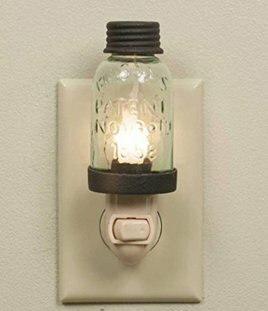 Light up your night with the Mason Jar Night Light Rustic Brown.